Good catch of dolphin for dinner! 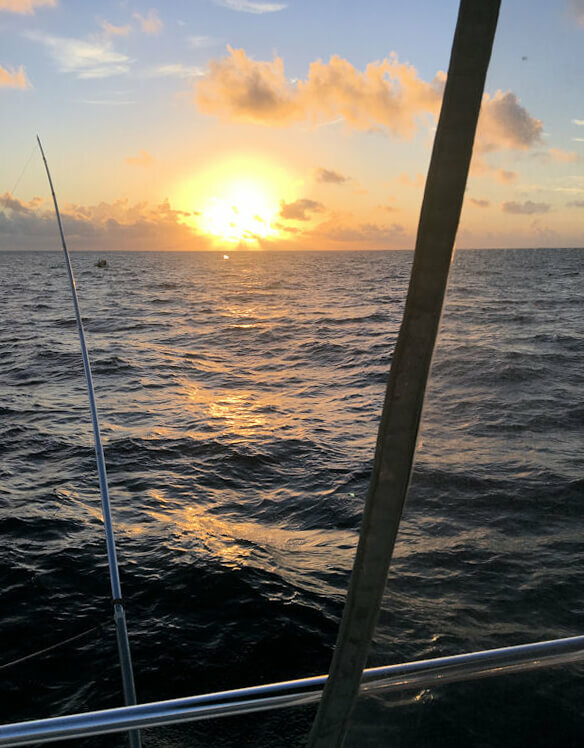 Whether you’re an angling aficionado or a fun-seeking Key West tourist, heading out to sea on a charter fishing boat is the ultimate tropical vacation adventure. Find the right boat to suit your needs using this handy guide to choosing a Key West charter captain. Have fun out there and here’s to a day filled with tight lines! Not all charter fishing experiences are created equal. A clear idea of what you’re hoping to get from your trip is vital. Are you looking for a more serious or relaxed fishing environment? Would you prefer to catch more smaller fish or fewer big fish? Is there a particular species you want to catch? What kind of trip are you looking for? Deep sea? Wreck, reefs? How long do you plan to fish? Half-day? Full-day? Are there specific amenities you’d like to have on the boat? Bathroom? Fridge? Fighting chair? An experienced angler hoping to knock a specific species off their bucket list will have different priorities than a first timer just looking for a good time. A concrete vision of what you’re after makes it easy to ask find a captain who has the experience and gear that matches your idea of a great fishing charter. Automatically going with the cheapest boat is generally not the best strategy. More expensive captains often own newer, larger, more comfortable boats with included “extras”, added amenities and more advanced gear & tackle. Additionally, cheaper boats are prone to underpay their staff – leading to a disinterested crew. There’s an old saying in the charter fishing industry: “The cheapest charter boat is just the most expensive cruise.” You get what you pay for and you ought to be paying to catch fish! Due diligence goes a long way when researching charter outfits. You’ll want to find out how long the captain’s been in business. How often he (or she) goes out and whether the boat has a history of success. Does the boat have up-to-date navigational & safety equipment? 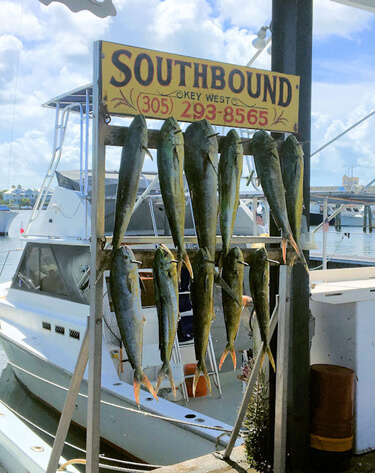 For example, if you look at Southbound Charter Fishing’s home page, you’ll find out I’ve been fishing in Key West waters for more than 25 years on my boat, a 40-ft custom Key West charter boat, that we target sailfish, wahoo, tuna, dolphin (aka mahi mahi or dorado), barracuda, shark, tarpon, grouper, snapper – and many more species, of course, If you check out the Catch of the Day, you’ll find we catch ’em and that we post our photos almost every day. The Southbound has a range of gear and tackle to accommodate both beginners and seasoned anglers — everything from 80 lb. trolling rods to 15 lb. spinning reels. When trolling we prefer to use 30 lb. test line – it’s not too small for the big fish and still light enough to allow smaller fish to put up a great fight. We’ve landed both white and blue marlin, sailfish, wahoo, dolphin, barracuda, tuna, grouper and snapper using 30 lb. tackle. Of course, 15 and 20 lb. spinning tackle is available for the more experienced angler. If you’re booking locally, take the time to meet with a captain in person before making a final reservation. We love to have folks come down to the docks when we get back from a charter. Just give us a call, (305) 747-3668, and we’ll let you know when you can find us For those out of town, a quick phone call goes a long way towards guaranteeing a fantastic day out on the waters of Key West, Florida. A sunrise worthy of an early start! 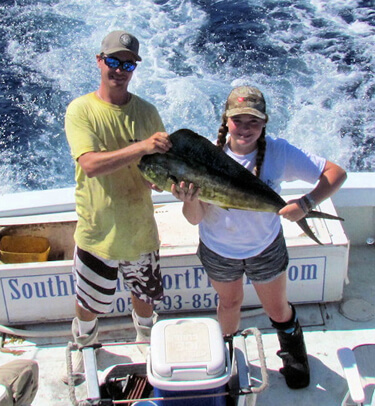 If budget is an issue, we offer a special Key West fishing accommodations package. If you fish multiple days you can enjoy our Old Town fishing cottage — all the comforts of home and just blocks from all the nightlife in the Southernmost City. © Copyright 2019, Key West Fishing Boats. All Rights Reserved.